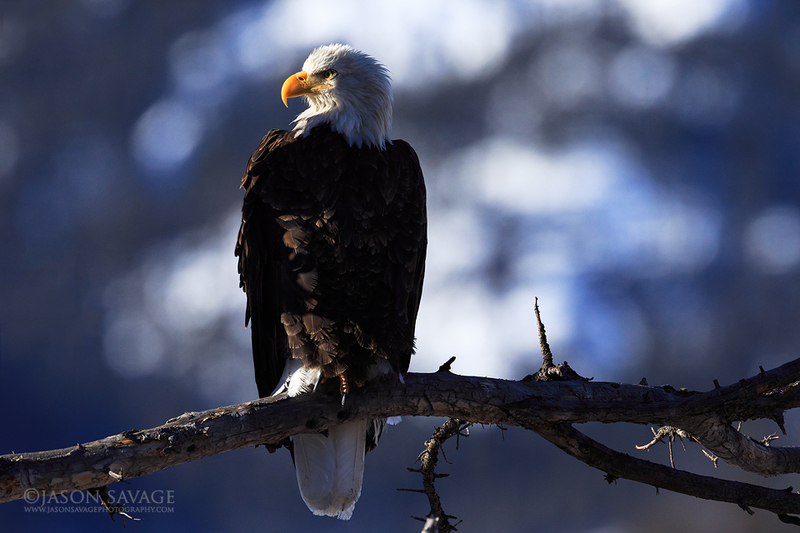 Here’s a recent shot from this winter of a Bald Eagle keeping watch over the Gardner River near Mammoth in Yellowstone National Park. This shot was a somewhat challenging one for lighting as the bright highlights on the eagle from the late morning sun were prone to being blown out and overexposed. This was an image where closely watching your histogram and constantly adjusting the exposure to preserve the highlight details were critical. With the improved dynamic range in modern sensors, these sort of shots become possible to better balance and bring out more details in the shadows areas than in less capable sensors in past years. This was a shot that I would usually pass up because of the lighting, but I was pleasantly surprised and glad I decided to reconsider.